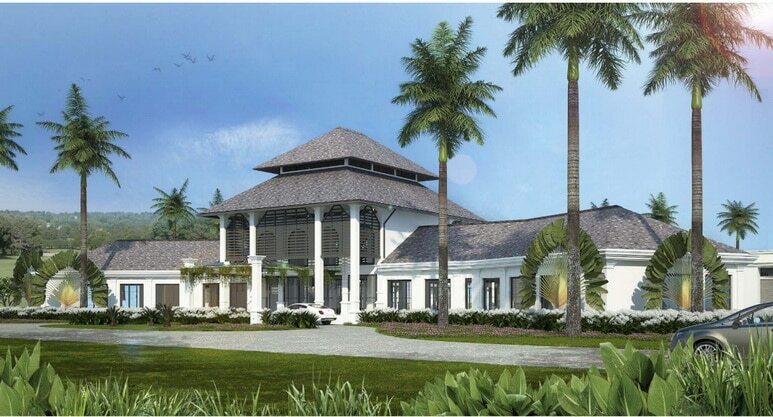 Vinpearl Golf Haiphong is located just outside Haiphong City and 120 kilometers East of Hanoi. 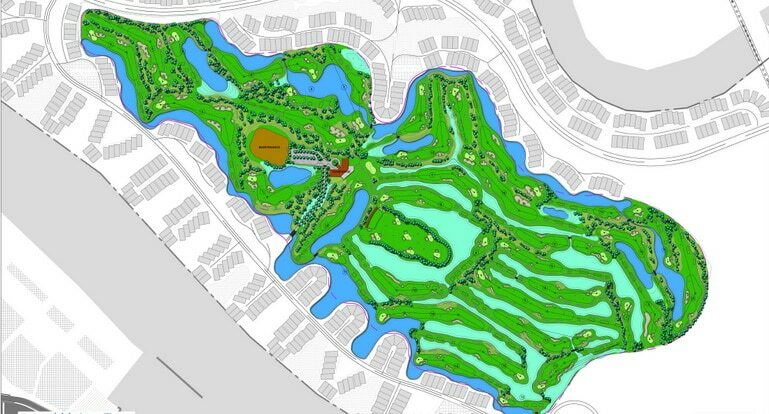 The entire 36-holes sit on an 872-hectare parcel of land on Yu Yen Island. The island lies at the mouth of where three local rivers meet before entering the East Sea. The river delta area is ideal for a golf course as it has mostly open and wet year-round conditions. 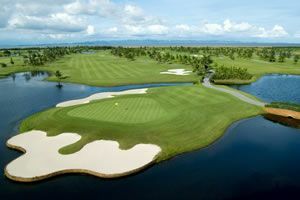 Designed by IMG, Vinpearl Haiphong features two distinct courses; the Lakeside Course and the Marshland Course. Platinum Paspalum grassed fairways and Tiff Eagle greens on both courses ensure year-round playing conditions. The Lakeside Course is a par-72 resort course built through a series of interconnected lakes, and that plays 7,333 yards from the tips. Water comes into play on 12 holes. Fairways are generally broad and greens have smooth but subtle undulations. Areas in front of the greens are open which facilitate run-up shots. Being long off the tee and on the right side of the pin are the two critical factors to scoring well here. The Marshland Course plays through semi-natural wetlands and presents an entirely different style of golf as compared to the Lakeside Course. Fairways are narrower which rewards shot placement accuracy well ahead of driving distance. Better golfers who can shape their shots will like this layout and style of golf. The par-72, 7,291-yard Marshland Course also has many strategically placed grass-faced bunkers and medium to small sized greens which further demands shot accuracy to make par. Vinpearl Golf Haiphong has a grass 300-yard driving range, extensive practice facilities, two large putting greens and full-sized bunkers for those golfers who like to warm up before their rounds. Caddies are provided on a 1:1 basis for all golfers. The Vinpearl Haiphong clubhouse is of contemporary Asian style with standout amenities found in the locker, changing, and shower areas. A fully stocked pro shop caters to all golfer needs. The restaurant offers a selection of cuisines ranging from quick golfer snacks to full sit down Vietnamese and western cuisine. 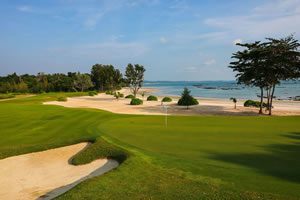 By focusing on integrating the two golf courses into the natural wetland environment, Vinpearl Golf Haiphong has created 36 quality holes among excellent scenery and that offer challenges for golfers of all abilities. Have you played golf at the Vinpearl Golf Haiphong and took some nice photos that you would like to share with other golfers? Send them to us and we may upload them here. Thank you in advance!